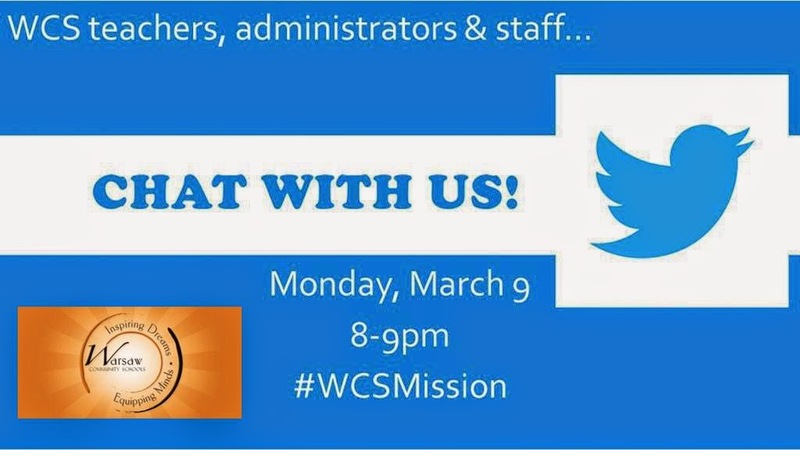 This past Monday evening, many teachers, administrators and staff members across Warsaw Community School corporation participated in our first #WCSmission Twitter chat. It was from 8-9pm and it was moderated by myself, a fellow teacher from an an area elementary school and our corporation PLC Coach. About 25 adults participated, including building principals, assistant principals, elementary, middle and high school teachers, special education teachers, technology directors and even our superintendent! It was so encouraging to learn from colleagues and to hear everyone's vision for our corporation. I created a simple Word Document that walks through the basics of chatting on Twitter. 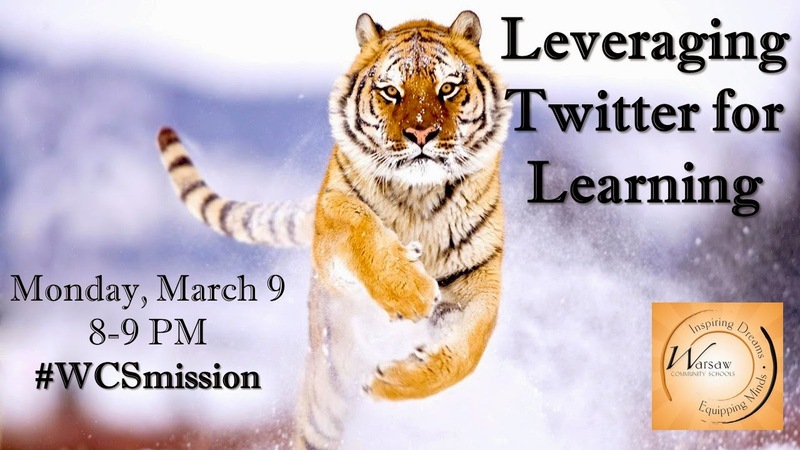 Here is a link to our archived chat as well, if you are interested in reading through the questions we posed and the many answers we received. Our plan at this point is to continue every other week. We have gotten lots of suggestions for future topics and more and more adults in our corporation have mentioned joining in future discussions. It is so exciting to see people work together across grade levels, content areas and even languages to better our students' educational experience. Have you considered starting a chat within your school, community or corporation? I think you would be surprised at the number of people who still haven't tried Twitter or who haven't truly accessed all there is! Perhaps you could be the person to open their eyes to the world of resources available.